The piece Carbon, Sonic Cycles is an interactive sound installation that deals with the carbon cycle. 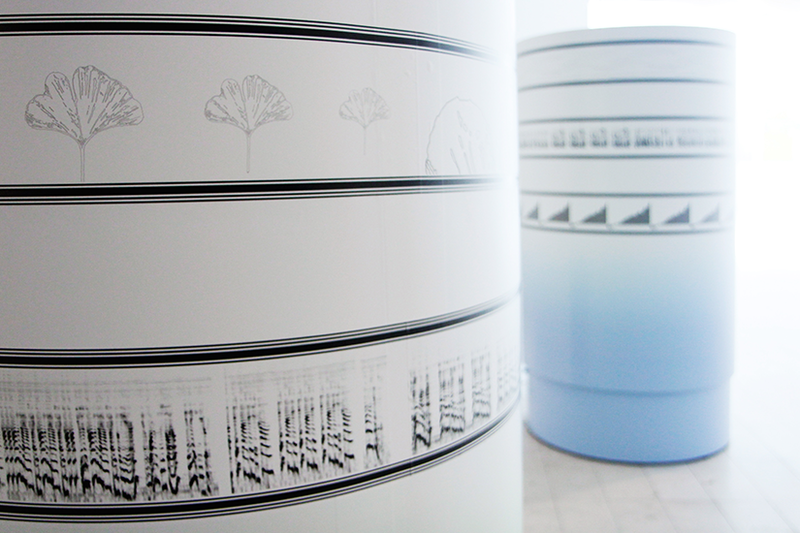 Drawings, archival documentary sound and scientific data that relate to different aspects of the carbon cycle are displayed on three cylinder-shaped rotating objects. The objects are colour coded into three main themes that tend to illustrate the element carbon from three different perspectives: green cylinder, looking at photosynthesis and carbon as the building block of terrestrial life; blue cylinder, looking at the Earth’s atmosphere and carbon’s role within it; and purple/grey cylinder: looking at carbon’s chemical and industrial characteristics. 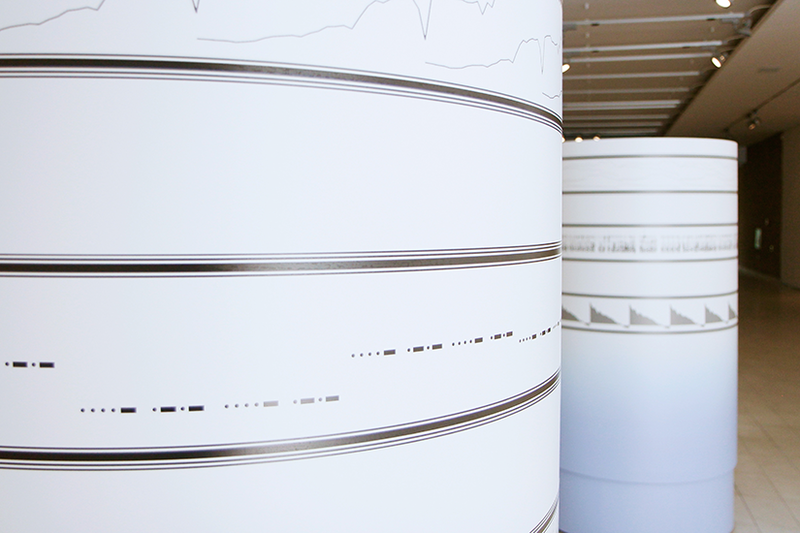 By using the digital application Phono Paper created by Russian programmer Alexander Zolotov, through tablets and smart phone devices, the work invites participants to translate the data on the cylinders into sound, further revealing an ongoing musical composition of the carbon cycle. The objects are silently rotating in the space and sound can only be activated through participation. Each object contains three different soundscapes and by the participant’s choice on which one of the three will be activated, and through the number of possible combinations played at one time, a unique sound composition emerges every time the work is enabled. 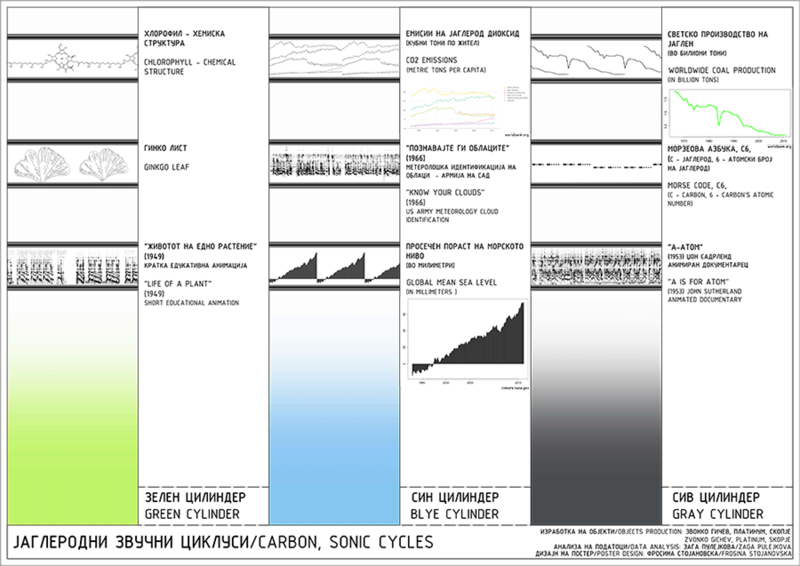 This ongoing change in the musical outcome is used as a metaphor for the complex nature of the carbon cycle, the series of processes by which carbon compounds are interconverted in the environment, involving the incorporation of carbon dioxide into living tissue by photosynthesis and its return to the atmosphere through respiration, the decay of dead organisms, and the burning of fossil fuels. 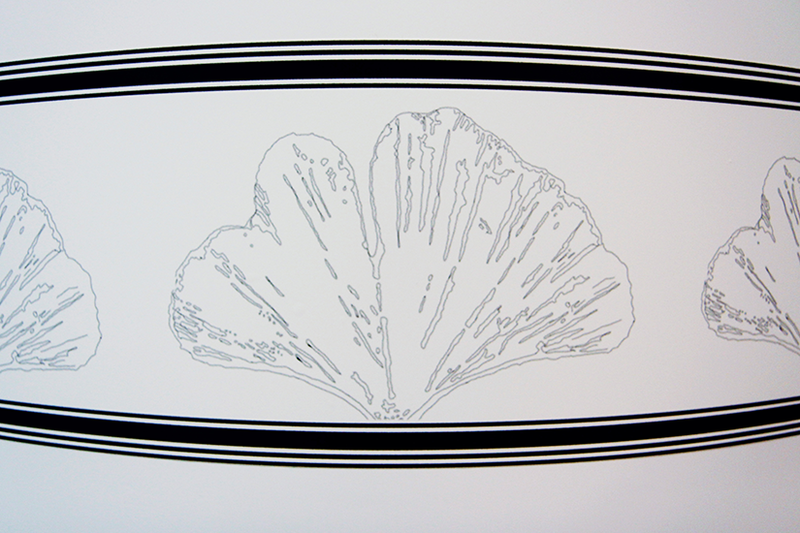 Carbon, Sonic Cycles is part of a larger series entitled Carbon Memories, first shown at the NI MoCA Skopje in May 2016.